Looking for a few new horses! If you need to know heres where the answers are. I'm looking for a couple 1st gen colts and fillies. I'm new to this site so i can't spend a whole bunch. I currently have a for sale a stallion by the name of Rasta Men Prince he's won 56,690,400 in earnings, he does well in 18F, I prefer sprints so i'm putting him up for sale maybe a trade? 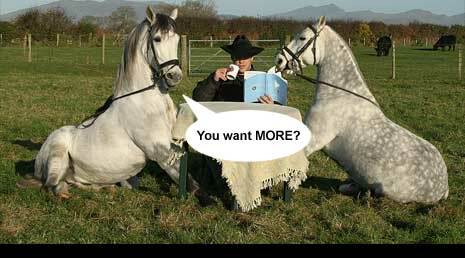 I also have a question for you vet's does generation breeding really improve the horse? yes, it sure does. two of my three stables are struggling and they won't improve until i breed 1st generation or 2nd generation horses. but right now i wouldn't worry too much about the fact you might be struggling. groups 1 and 2 are all in one group and it's going to be split into two separate games at the end of this month. that will make winning easier as the field sizes will drop noticeably. Thats good to hear, i've done almost everything to try and get them to win but its been a struggle. as there will be more improvement. 12.0 11.7 13.1 11.6 etc...the speed for each furlong is too close and the breed won't improve. Otherwise I find one of the boards to breed with if I don't have any of my own that fit that criteria. Subject: Re: Looking for a few new horses! » Horses for sale.. don't have a choice.